Sahitya academy award winner Nirupama Phukan passed away after prolonged illness at her residence in Jyotinagar on Thursday. She was 91 and is survived by two sons and a daughter. A stalwart in the translation of Hindi into Assamese, she was conferred the sahitya academy award (1999) for translating Munshi Premchand’s ‘Godan’ into Assamese. She won national award from the cultural affairs minister, Government of India in 1987 for her work in ‘Surujpurar Suryakana'(Manuscript) written on the theme of Adult literacy. Sadou Asom Lekhika Samaroh bestowed her with the title ‘Gyanshree’. Phukan’s first translation work was ‘Ahuti’, a hindi drama by Hari Krishna Premi. Her father in law Radhanath Phukan printed that book. Her other famous translation works are – ‘Pratigya’, ‘Chandragupta’, ‘Jibanimala’. She also contributed towards Children litersture with Bulbul Aru Badsah, Geet Gowa Charai, Kashmir Deshor Sadhu, Nepalor Sadhu, Mainar Mou Kosh, Suraj powar Suryakanta and Amis and Niramis Ahar. Besides Hindi, Phukan has also translated some books and articles from Assamese to Hindi. Apart from that she also published a series of poems and articles in Bengali publications such Mahila, Bharat Varsha, Masik Basumati, Betan Jagat etc. 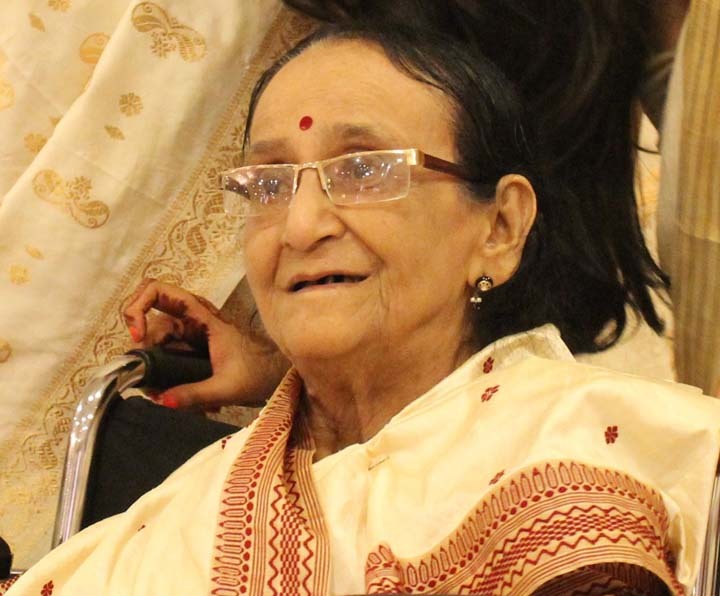 Kalpana, daughter of Nirupama Phukan said, ‘’My mother had contributed a lot to Assamese literature. She translated many books from Hindi to Assamese and got recognition for that. She is the first Assamese who started the translation work of Hindi to Assamese’’. Eminent scholar of Assam Pt Krishnakanta Handique has expressed his view on Nirupama Phukan by stating, “Excellent translation work is still awaited. It is necessary to translate the writings from the provincial language of India besides English. Nirupama Phukan has translated a number of Hindi drama and novels into Assamese and introduced Hindi literature among the Assamese readers”.